As an underwater photographer who hopefully can travel abroad to dive, you won't need reminding of the inconsistent policies when it comes to baggage allowance. Recent events have quite rightly called for a tightening of security but it seems some airlines are using this as an excuse to impose draconian restrictions on air travellers. SITA (Scuba Industries Trade Association) is a UK based dive trade organisation which is lobbying airlines with a view to getting them to increase baggage allowance for divers travelling overseas. Their aim is to stress the number of divers travelling to give credence to this and would appreciate an e mail from you simply stating your postcode/zip code to ensure your legitimacy. It won't take a second to do and you could be helping make dive travel much easier in the future. Do it today and fly away with more tomorrow! As a specialist magazine with a worldwide readership UwP should be an invaluable medium for underwater photography equipment manufacturers to have their equipment reviewed. Yet the strange thing is that nearly all of the equipment reviews we have included over the years have been instigated by us. We have not been approached by any equipment manufacturer. I don't know why this is. We're not unapproachable, we're usually quite friendly but most of all we want equipment to review. So hopefully to redress the balance and make for even more interesting reading in UwP, this is my plea to any underwater photography manufacturers out there. If you have a new product you would like reviewed, please get in touch and we'll be happy to help out. Finally if any readers fancy writing an equipment review about your latest acquisition, please get in touch. The underwater photographic community is small and UwP is here to help you promote your business. Following the launch of our .com web site we have received a great response from subscribers to UwP. The feedback you have given us will help us to steer UwP in the direction you want. 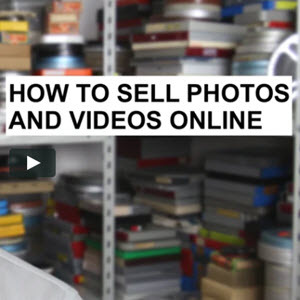 It wasn't a surprise that Photo tips, Basics and Digital cameras were at the top of the list but a low vote for Photographer profiles did surprise me. Personally I like to know how others operate but what do I know? It will take time to comply with your wishes but, as a starter, there's an article on Shutter speeds and apertures in this issue so I am listening! The SeaSpace Expo, sponsored by the Houston Underwater Club, is coming to the Reliant Arena, next to the Reliant Astrodome in Houston, Texas. On June 7 & 8, 2003, the show features an Exhibit Hall; Live and Silent Auctions; a Gallery of Underwater Photography; and a special presentation of the award-winning film "Ocean Oasis." Seminars and Workshops of special interest to underwater photographers include: Jack & Sue Drafahl, two workshops, "Techniques for Improving your Underwater Photography" & "Digital Imaging for the Underwater Photographer"; James Wiseman, "Slide Shows in the Digital Age"; Steffan Schulz, "Digital Video Production - Editing & Shooting for the Edit" and more. 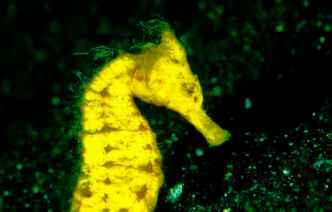 UwP contributor, marine biologist and underwater photographer Dr Alex Mustard is leading a trip to Grand Cayman from 1st - 12th September 2004 to photograph spawning coral. 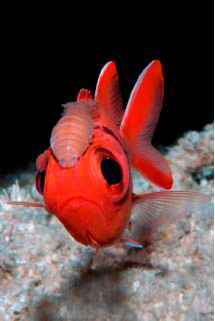 The trip is timed to coincide with mass coral spawning, but you should also witness spawning of many of the reef fish and with luck some other invertebrates. This is a trip for marine life enthusiasts, but the unusual photographic opportunities will also appeal to both underwater photographers and videographers. The trip will be based at the east end of the island and Alex will be on hand to help with his extensive knowledge of this marine phenomenon. Martin Edge is leading an expedition to Dominica in January 2004. It will be based at the Castle Comfort Dive Lodge close to some of the best diving in Dominica. The expedition will be for 7 nights from 26th January 2004 and prices are from £1599. Buddy-up between 1 June and 31 July 2003 and save up to 25% on the price of your accommodation and your diving with Eco Divers. Based in the Tasik Ria Resort, the diving takes in the five islands and over 20 peaceful dive sites of the Bunaken National Marine Park. It is now going to biggest and the most exciting festival of the sea event ever stage in the Asia Pacific - the festival is now confirmed to be stage in conjunction with the ASEAN Holiday Tourism EXPO 2003 at MID VALLEY Exhibition Centre Kuala Lumpur -Malaysia biggest shopping complex. 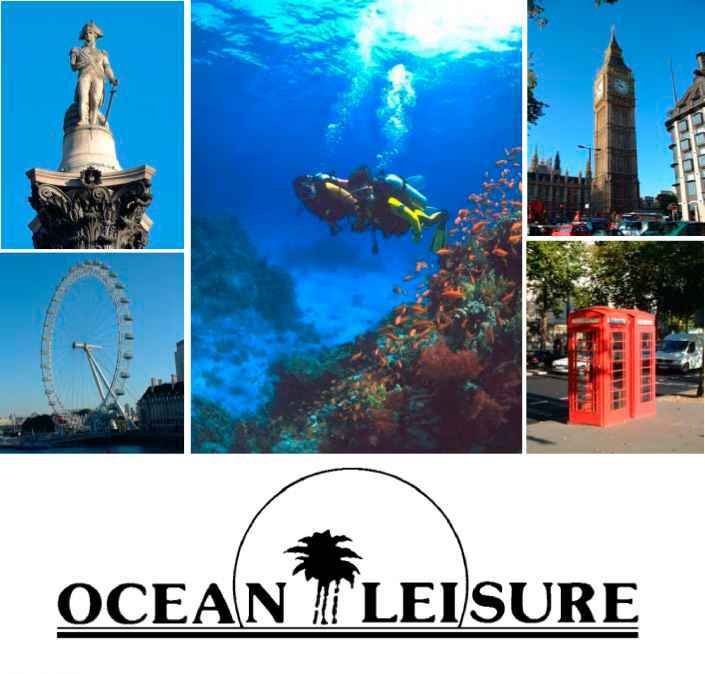 Celebrate the Sea's static exhibition will share the same hall with Asia Overland Services which will be coordinating the eco and adventure travel exhibitors. The two other halls will feature nature and general tourism product of ASEAN countries and Malaysia. In co-operation with MTS Tourism Planners -organizer of the ASEAN Holiday Tourism EXPO 2003, local and international media partners, we anticipate more than 50,000 visitors through the 3 day static exhibition. This inaugural event is endorsed and supported by the organizers of the Antibes reputed to be the Cannes of underwater films for the last 30 years. 15 - 17 August; Mid Valley Exhibition Centre: featuring top dive operators in Malaysia, Indonesia, underwater imaging, environmental agencies and display of prints in competitions. Entry is free. The highlights of the festival are the showing of the latest in marine feature documentaries, non-stop screening of films prints in competition, slide show competition, children's painting competition, 'Celebrate the Sea' painting contest and static exhibition of marine arts & craft, diving in South East Asia & Innovative diving equipment. Cliff Etzel has launched a new web site for underwater digital video users. www.uwdv.com is a comparatively new site so it is just finding its way but is developing rapidly and should, in time, become a valuable resource for underwater videographers. In accordance with Jim's wishes, close friends and associates for 15 years, Mike Mesgleski and Mike Haber will host the "Jim Church School of Underwater Photography" classes aboard Aggressor Fleet liveaboards in 2003 and 2004. The "Mikes" operate Underwater Camera Repair in Miami, Florida. Started in 1988, they currently service and repair Sea & Sea, Nikonos, Seacam & Seacam & Aquatica underwater photographic systems for photographers around the world. Their book and video ER - Emergency Repair for the Nikonos V Camera, takes you step-by-step through the inspection, dismantling, drying, reassembly & testing of a flooded Nikonos V camera. This magazine has been created to fill a void. The shark diving industry has grown into a mainstream eco-tourism attraction worldwide. More dive shops have caught on to the idea that adding an educational shark dive to their itinerary will attract more people and much needed revenue to the economy. 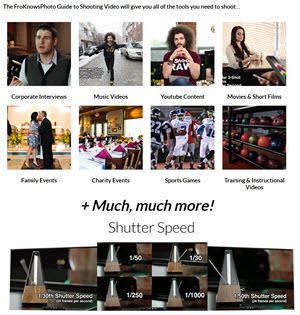 Subscription rates are 1 Year USA $19.95. 2 Year USA . $24.95 1 Year Canada . $29.95 2 Year Canada $44.95 1 Year International. $39.95. 2 Year International. $64.95. 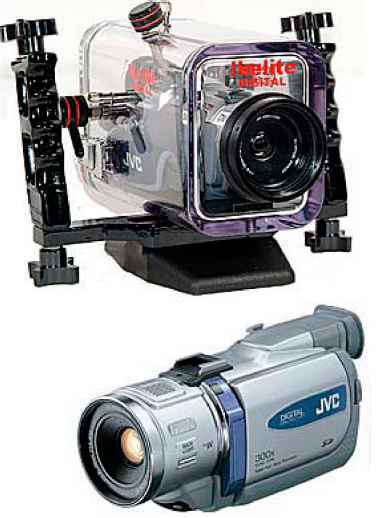 This package combines advanced digital imaging of a JVC DV800 digital camcorder with a very compact and easy to use Ikelite #6012.32 CyberMarine Video Housing at a realistic price of $1600. The delightful size housing and camera allows you to capture the moment with the latest digital video technology, including digital stills that can be printed or sent as electronic mail. The housing is molded in clear polycarbonate, and includes an optical glass lens port with removable UR Pro Filter. Controls for power on/ off, record start/stop, zoom and snapshot. Size is 10.5" wide with removable handle bar attached, 7.5" tall with removable base attached, and 10" long including the port. Optional Inon UWL-100 wide angle lens or #58070 Sea & Sea conversion wide lens attach directly to the port. Light & Motion has got a deal for you! Trade in your old video housing (any video housing, Light & Motion or other) and they'll give you cash towards a new Light & Motion underwater video system. Package for Package - Trade in ANY video housing system worth $1000.00 or more, and they'll give you a $1000.00 credit towards the purchase of any new Light & Motion Travel Package and Monitor Back. Housing for Housing -Trade in ANY solo video housing and they'll give you a $400.00 credit towards the purchase of any Light & Motion solo video housing. 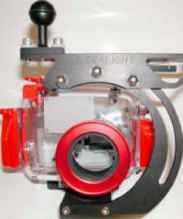 Digital Still Cameras offer the best in capabilities for underwater picture taking and in keeping with this concept the Jonah Housings are designed to be the best and most affordable Housings available for these Digital Cameras. Ocean Brite Systems is the exclusive California Dealer for the Jonah Housing line that includes Housings for the Canon D60 & 10D ( Coming in August 2003) and the Nikon SB80DX Flash as well as the Canon 550EX flash. They also offer a complete line of affordable ports for both wide angle and macro picture opportunities. Full information is available on their web site located at: (NOTE dashed lines enclose links.) www.oceanbrite.com/ND100.htm Check them out in person at the Seaspace Show in Houston, Texas 6/7 & 6/8 or The Scuba Show in Long Beach, California 6/21 & 6/22. All of the recent Olympus range of digital still camera housings come with an aluminium port surround with filter threads to attach accessory lenses for close up and wide angle. This makes them capable of becoming a true system outfit capable of capturing a wide range of subjects. Canon, on the other hand, do not provide this facility on most of their housings but those nice people at Inon have come up with a solution. The Inon 67 adaptor is a well machined accessory which attaches to the base tripod screw of the housing and takes an adaptor which fits over the lens port. The front of this adaptor has a 67mm thread for attaching their close up and wide angle lenses and they also produce another version which has a bayonet fitting instead which takes their bayonet fitting lenses. For more in formation contact your local Inon dealer or visit www.inon.co.jp. The SUBAL D60 extends the line of top level housings for digital SLR cameras to include cameras of Canon EOS series. 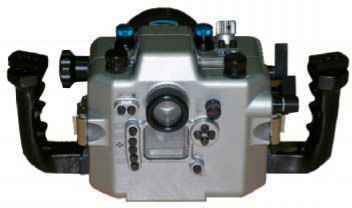 It follows the successful and universally approved design strategy of the new generation of underwater housings. The ergonomic positioning of all important controls provides comfortable access to the camera's functions. The camera is mounted on a saddle providing precise positioning inside the housing - installation errors are nearly impossible. A large O-ring provides maximum security as does the trustworthy Subal Quick Lock latching system, which makes it virtually impossible to close the lid if the O-ring is not in its groove. Threaded holes in the base and in the accessory shoe allow mounting of brackets or pilot lights etc. The housing incorporates an excellent viewfinder optic for full frame viewing. Shutter Release, Power On-Off, Front and Rear Main Dial, Manual Focus/Zoom, Mode Dial, Push buttons for: Metering System/Flash Power Compensation, AF/WB Selector, Menu, Info, Jump, Index, Playback, Delete, AE-Lock, Focus Area Selector, Set. Nikonos V, IKELITE or Subtronic S6 sockets. 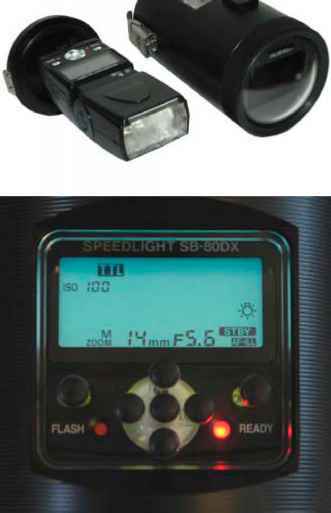 TTL mode available ONLY with S6 socket and original Canon flash gun! All but neutral (dependant on port and accessories used). Subal has released the SN80-D, a housing for the Nikon SB80DX flash. Complete with flash and batteries, it weighs 1.64kg on land and is slightly positively buoyant in water. The housing is machined delrin and feels very robust. All of the controls except test flash are available and these include on/off, mode,aperture up/down, zoom in out. These controls and the flash's LCD panel are viewable through a large, elegantly machined perspex window. The SN-80D with the Nikon SB80-DX is suitable for lenses of 14mm (with built-in diffuser) or longer focal length up to 105mm. 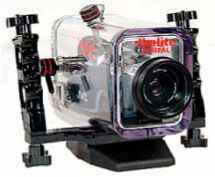 It works directly with Nikonos style Nikon TTL cameras and, with suitable housing hotshoes, can support full D-TTL underwater with cameras such as the Nikon D100. There is a mounting shoe on the base with M8 and 3/8th W threads and a top M6 mounting shoe for attaching an aiming light. The SN80-D housing is 109mm in diameter and 22omm long. As the digital age of photography takes off in leaps and bounds, Ultralight Control Systems keeps up with new products that allow the photographer to use these digital housings underwater with greater ease. Ultralight has designed a pivot for the Tetra digital housing for the Olympus cameras and the Nikon Coolpix cameras. Customers with Ultralight arms from prior housings or cameras will be able to continue to use these with the new pivots. Olympus housings for their 4040 and 5050 cameras will also work on these pivots. In addition a single or double tray will also work with these housings. Also other plastic housings made by other manufacturers, ie Sony, Canon will work on Ultralights trays and pivots. to use Ultralights arms and adapters. See the shop before you buy! Underwater Photo-Tech has a neat feature on their web site where you can pan along a 360° picture of their shop. They also have an online store and comprehensive details of their sales and service facilities. Underwater Camera Pros has opened up a new shop specialising in underwater photography equipment in Kansas City. Ikelite, UltraLight Control Systems, and carry a full line of Olympus Underwater Products. La Spirotechnique is an illustrious name. Originally set up as the diving equipment manufacturing arm of the Air L'iquide group to build and market Cousteau - Gagnan Aqualungs, the French company has many innovations to its credit. One of Spiros most revered products was the Calypsophot developed for the Cousteau divers. 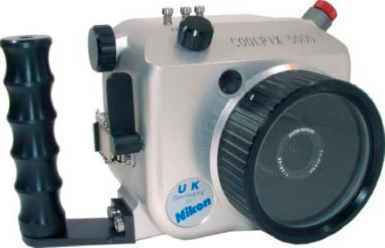 Later the rights to this camera were bought by Nikon and the Nikonos line was established and became legend. 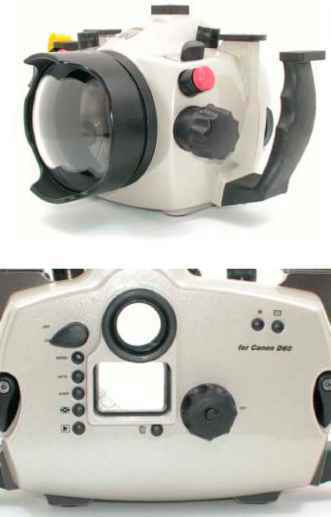 In the late seventies Spiro introduced another underwater canera aimed at the mass market. 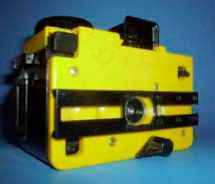 The Aquamatic used 126 cartridge film that yielded a square picture. Exercising extreme caution given the camera would be used by divers, they made it largely free flooding. Only the film chamber remained dry. Even the shutter got wet, reducing the damage that would be done when the inevitable leaks occurred. Internal weights overcame the Aquamatics natural tendency to float. Two shutter speeds and four apertures provided for exposure control. Magicube disposable bulbs permitted four flash pictures to be taken before the cube had to be replaced. yet compact and fast to shoot. Spiro developed a line of accessories including an off camera bulb flash, additional close up lenses and a back to allow the use of 35mm film. It was depth rated to 90m. Nikon Coolpix 5000 and UK Germany Housing. Only the Price is Understated. It isn't easy to overstate the attraction of the Coolpix 5000 and UK Germany housing outfit Ocean Optics have put together. For the digital enthusiast it's one of the most versatile systems available at any price. 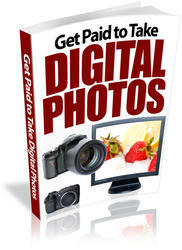 The Nikon Coolpix 5000 is one of the best specified digital cameras around. 5 Megapixels with recording to TIFF for high quality enlargements you can be proud of. Automated features to get you shooting successfully from the get go with full manual overrides for creative control when you need it, so you won't be limited as your experience grows. It even shoots a minutes video. Superb 28 -85mm (35mm equivalent) zoom range with built in macro focusing to 2cm for stunning close ups. 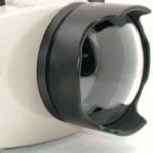 Optional 19 to 35mm wide angle zoom that's the perfect general purpose underwater lens. There's even a full frame or circular fisheye for sweeping undersea vistas and dramatic wreck portfolios. UK Germany's housing is custom built to take full advantage of the 5000s capabilities. It's built from sturdy aluminium for a long working life under tough conditions. Yet it is more compact and lighter than many plastic competitors. So its great for overseas trips - camera, housing and T Flash weigh under 5kg, so it can travel in your hand luggage. Controls are placed to maximise ease of use. So no fumbling and no missed shots. A Nikonos flash socket is standard, so you can choose from the widest possible range of strobes. Interchangeable flat and dome ports for standard and wide angle lenses, with the option of adding the Nexus wet lens for super-macro photography. 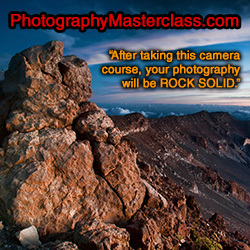 And best of all, our special package deal lets you shoot like a pro for an amateur price. Call now for details. Strictly limited stocks.